One of the great features that WordPress has to offer its users is revision management. WordPress will automatically create a new revision every time you save a post, or whenever you preview it. For most WordPress installations, controlling revisions will not be required, and they won’t require maintenance. 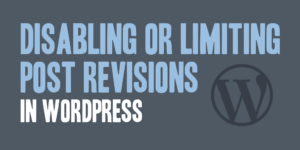 For larger sites, or sites that are very space constrained, you can limit or disable the revision management functionality of WordPress. 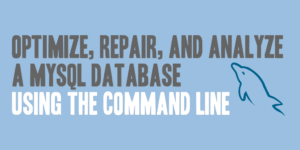 Here are some quick and helpful MySQL commands that can be run to optimize, repair, or analyze a database from the command line. These commands use the mysqlcheck client, which performs MySQL table maintenance such as repairing, optimizing, checks, and analysis.